You can read my intreview there! Aw, JooJoo. Wonderful interview. I enjoyed reading it. And this little gator looks EXACTLY like your sketch. You are one talented lady! I enjoyed reading your interview so much Afi, you really inspire me! 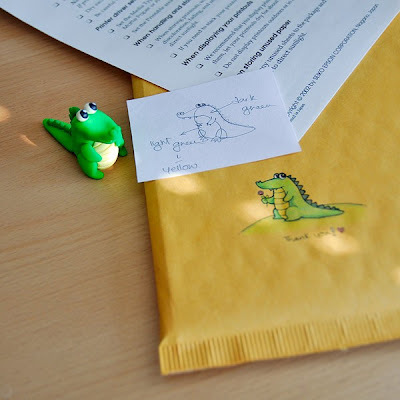 :X And that little watercolor alligator is just sweet!